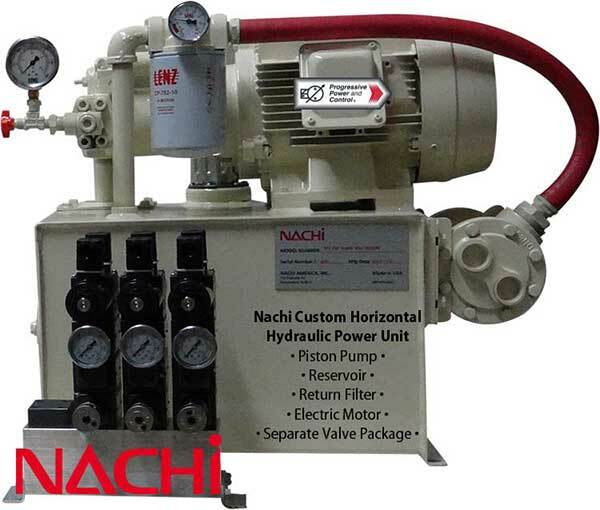 Many other components can be added to enhance the function, including manifolds, cooling fans, heat exchangers, filtration systems, relief valves, pressure switches, etc. 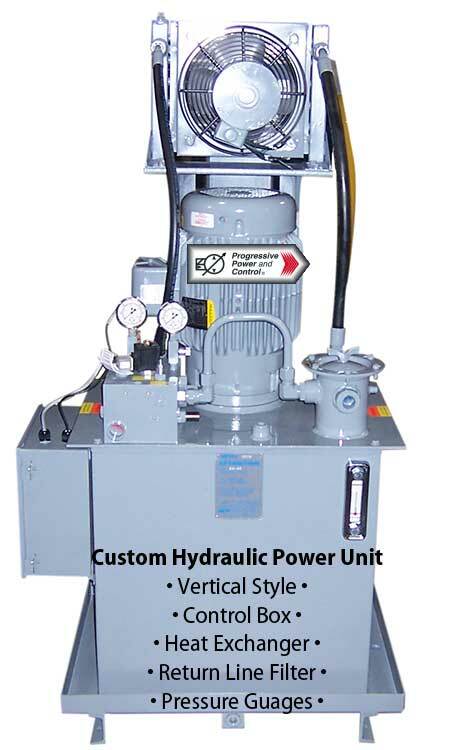 Hydraulic power units can be custom-built as stand-alone units for external use, built to be integrated into any machine tool space, or as portable units on wheels. 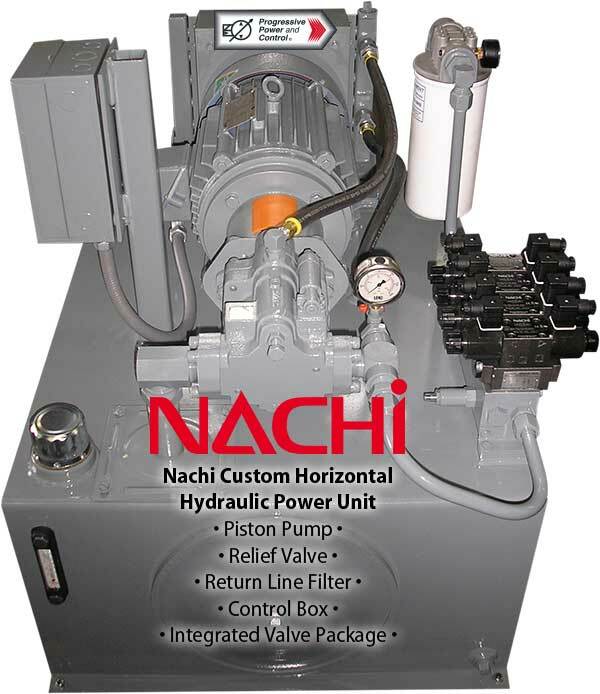 Hydraulic Power Units (or Power Packs) can be purchased “as is” in basic configurations from many vendors. Some vendors are also able to customize their standard models to suit your needs. 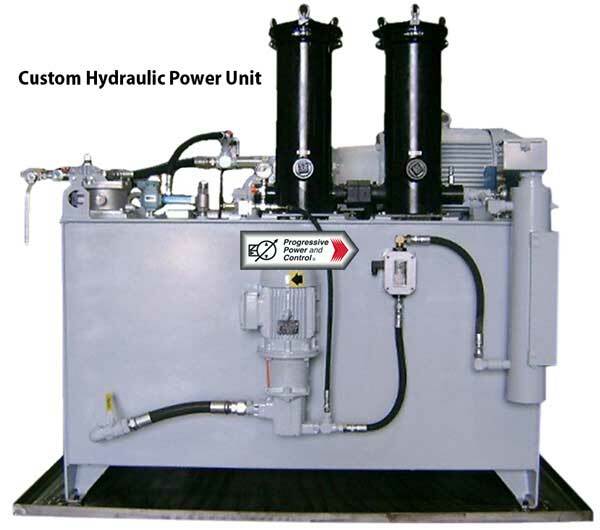 When an off-the-shelf hydraulic power unit won’t suffice, Progressive Power & Control can design a custom HPU to suit your needs exactly. 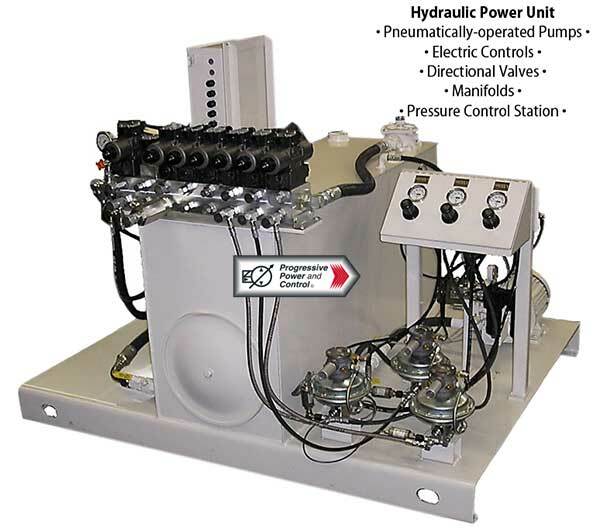 Using best-of-breed components we can design and assemble a hydraulic power unit that fits perfectly into your hydraulic circuit to provide the power you need. 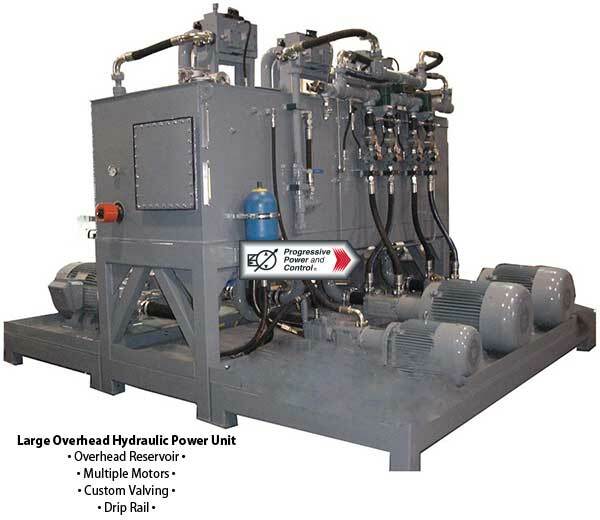 Smart external HPU design includes all components fitting within the framework so that they are safe from damage during delivery, moving, or by passing vehicles on the manufacturing floor, and the use of a drip edge to contain oil leaks from running out onto the work floor. Internal power packs can be designed to fit perfectly into any machine tool and provide the power needed to drive the machine. 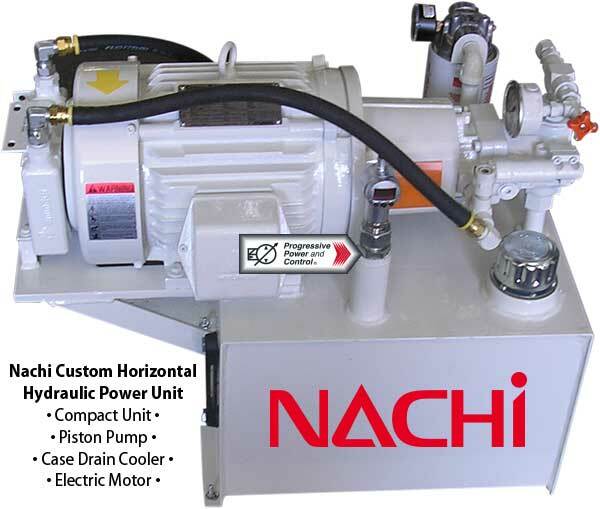 Since the reservoir is frequently the largest part of a power unit, the orientation of the reservoir usually determines the shape of the HPU. Each design style has it's benefits. 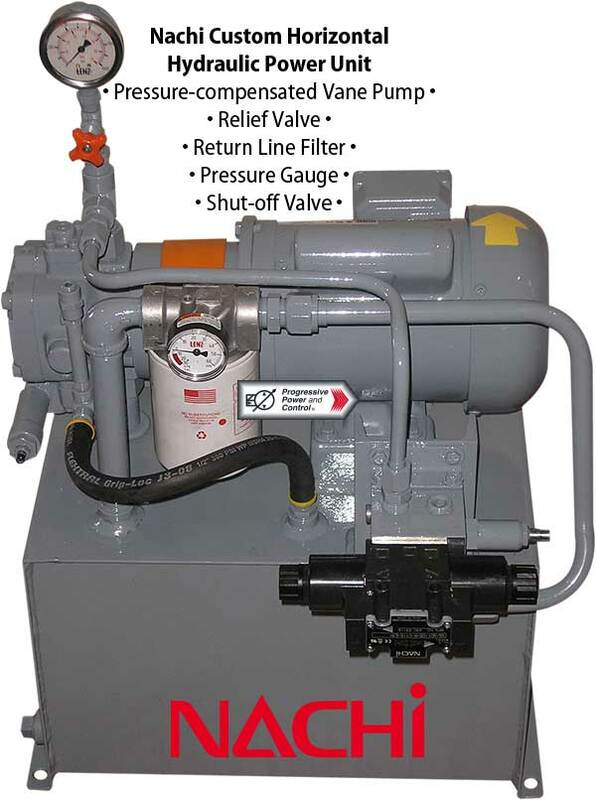 Minimizes the footprint of the device on the manufacturing floor and also provide a "flooded inlet" where gravity adds to the steady flow of oil into the pump. 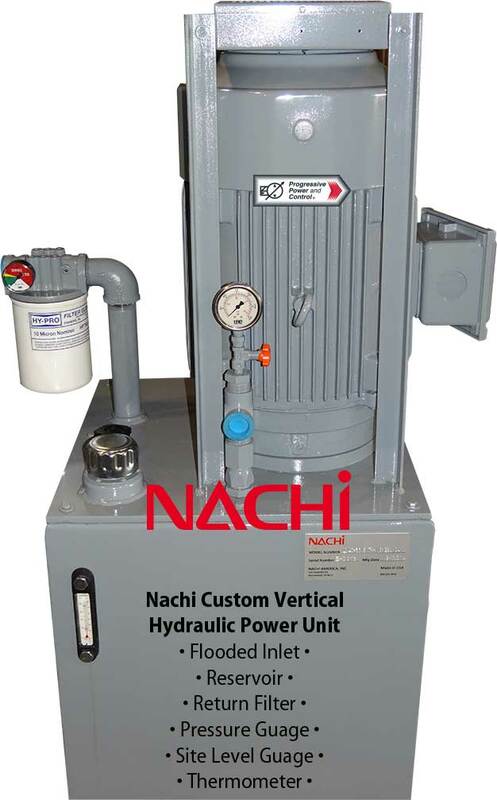 Have the reservoir on the bottom and the hydraulic components placed on top of the reservoir. This makes for convenient servicing of the hydraulic components. 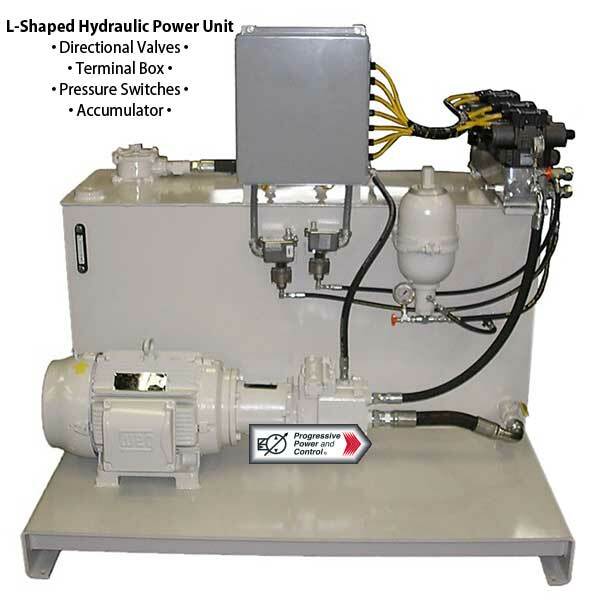 Disadvantages include a larger footprint and the need to pull hydraulic fluid up from the reservoir into the pump. 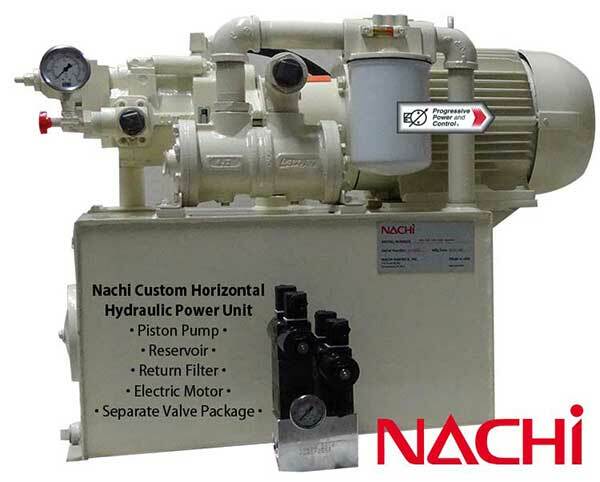 Offer the advantages of horizontal power units with hydraulic components easily accessible for servicing while providing a flooded inlet, which uses gravity to assist the flow of oil into the pump. 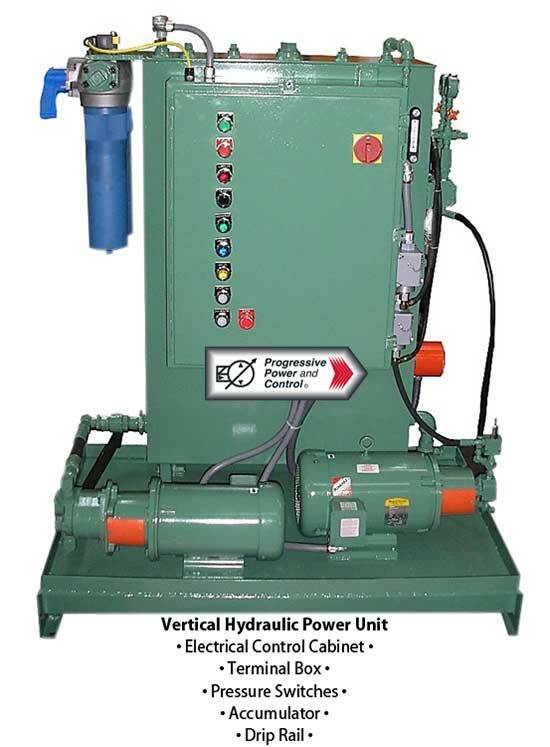 Generally, the reservoir is placed on the back of unit in an upright position with the hydraulic components placed in front of the reservoir. 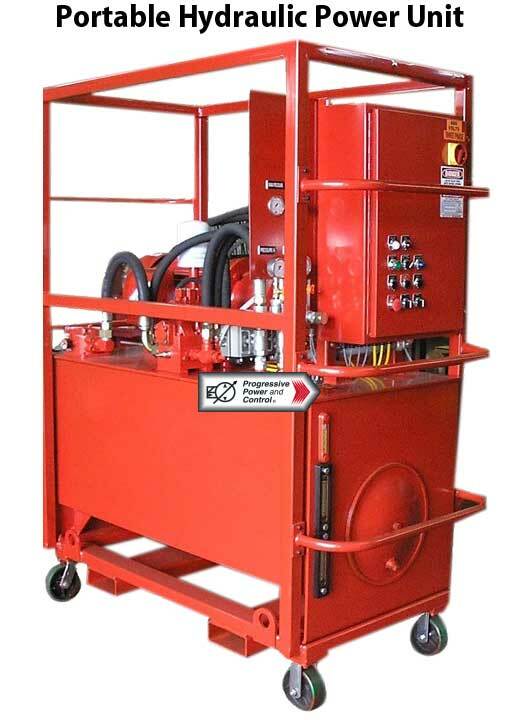 Portable hydraulic power units can be built on wheeled carts and rolled into position when needed. 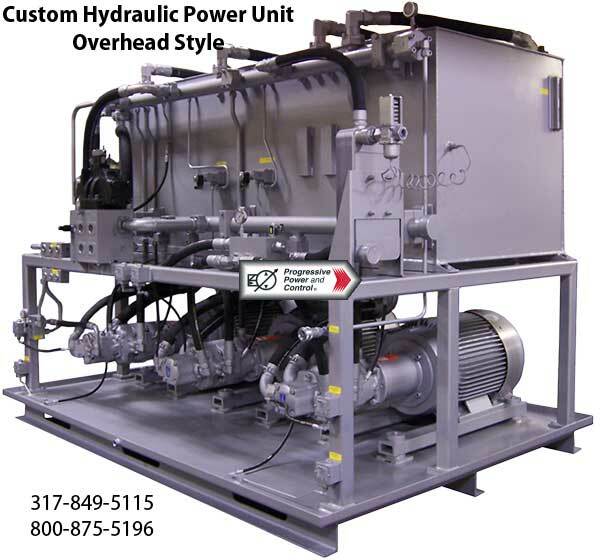 JIC- or NFPA-compliant hydraulic power units can be configured with any size and shape of reservoir, cooling systems, filtration systems, and valving in any position to fit into your manufacturing line.